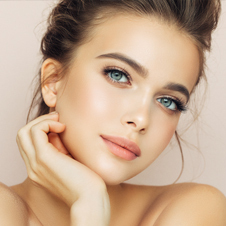 Whether you are looking to free up time in your morning routine or get the perfect tint for your eyelashes and/or eyebrows, tinting services offered by board-certified plastic surgeon Kim Edward Koger, M.D., F.A.C.S. will help you perfect your look. At Koger Cosmetic Clinic and Medspa in Jupiter, FL, we can help you refine your appearance to meet your expectations. Using natural ingredients, eyelash tinting gives your lashes a dark and lush look without mascara. Once applied, eyelash tint can last for up to six weeks, giving you a boost in self-confidence and saving you time in your beauty regime. 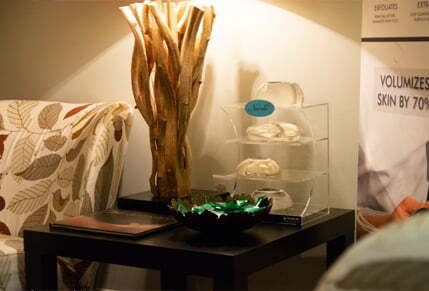 The product is easily applied, followed by a relaxing 15 to 20 minutes in our spa while it sets. Your eyebrows frame your face, and with one of our trained professionals, you can refine that shape to compliment your appearance in the best possible way. Application of color only takes a few minutes and lasts for weeks. We can work with you to find the exact shade to match your complexion and hair color. This treatment can be scheduled in conjunction with an eyelash tinting appointment. Eyelash perming enables you to throw away your eyelash curler and enjoy a more youthful, rejuvenated appearance. A gentler perming solution is used in conjunction with slim, flexible rollers, to curl your eyelashes into shape. The process is very comfortable and safe and leaves your lashes curled, day and night, in or out of water, for up to six weeks. This procedure is often performed along with eyelash or eyebrow tinting. If you are frustrated with the time it takes to curl, coat your lashes or apply fake eyelashes, tinting can provide you with the simplicity you seek. And if you also find shaping and filling in your eyebrows to be a tedious matter, our trained professionals can erase precious time from your routine with one easy appointment. What is the Cost of Eyelash and Eyebrow Tinting? The cost of eyelash and eyebrow tinting varies, depending on the extent of cosmetic treatment necessary to achieve the best results. For your convenience, we accept cash, check, Visa®, MasterCard®, American Express® and Discover®. We offer financing options via CareCredit®. If you live in or around West Palm Beach, Wellington, Vero Beach or anywhere in Palm Beach County, and are looking for a board-certified plastic surgeon to perform eyelash or eyebrow tinting, contact Dr. Koger at Koger Cosmetic Clinic and Medspa Jupiter, FL, today, to set up a complimentary consultation.